If you follow me on Instagram you may have seen that a few weeks ago I set out for a two week road trip by myself around Iceland. 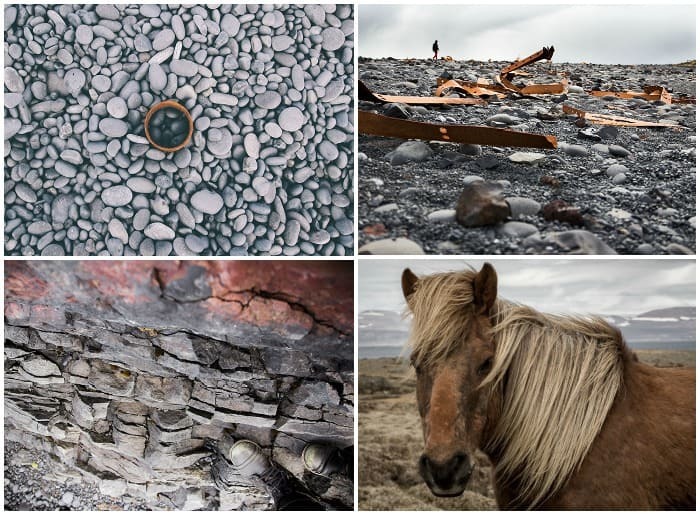 I had never been before, but after a few afternoons of swooning over these photos of Iceland, I booked a ticket and hoped the rest would fall into place. Thankfully, it did. In fact, it was by far one of the most incredible places I’ve ever been to in my entire life. Today seemed like the perfect day to share the complete Iceland itinerary, because it’s Icelandic Independence Day (and my birthday!). With helpful tips from my new friends at Tiny Iceland, Reykjavik Trading Co., and Promote Iceland, in only ten days I was able to see more waterfalls than I’ve ever seen, swim in hidden hot springs, climb volcanoes, and try foods I never thought I’d try. Don’t worry, I’ll fill you in on all the details. 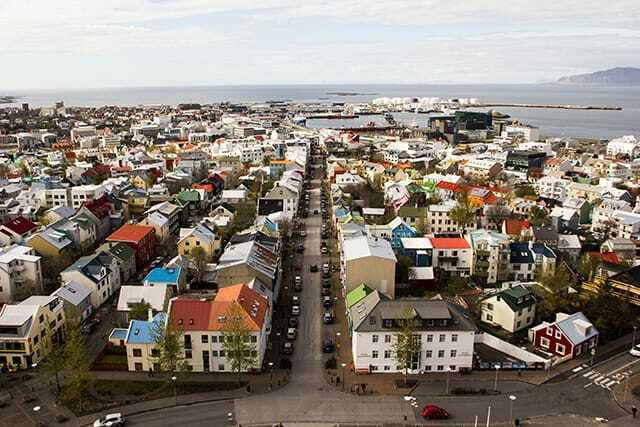 After you fly into Keflavik, hop on a Flybus and head to Reykjavik (the capital and largest city in Iceland). I wouldn’t recommend taking a cab, unless you are with a big group, the fare adds up real quick. The Hallgrímskirkja Church: was one of the first places on my list. 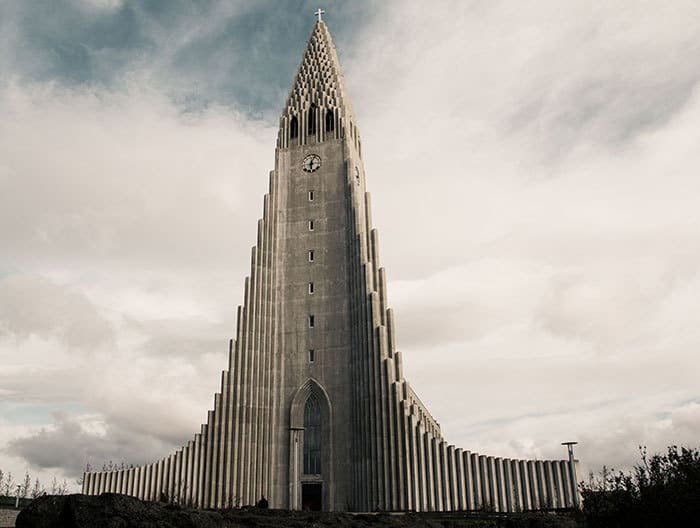 The architecture is inspired by the natural black lava columns you’ll see around Iceland. I highly recommend you head to the top of the church tower to see the stunning view. 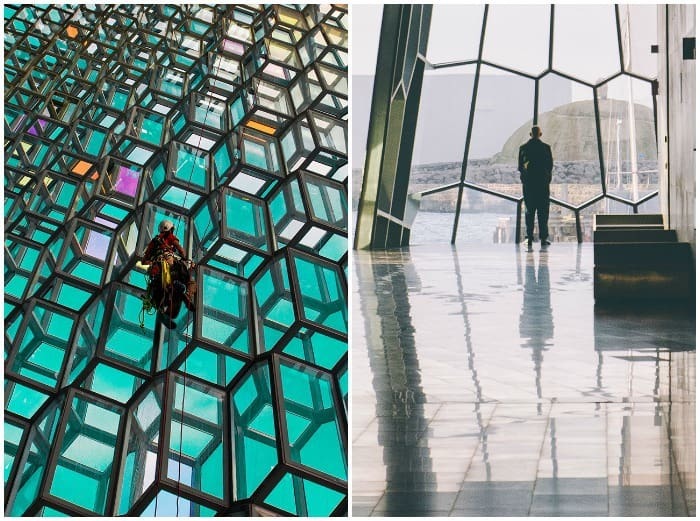 Harpa: Walk on over to the Harpa Concert Hall and Conference Centre at sunset to capture the stunning reflections on the building. I went around eight o’clock and hardly anybody was there. One person sat in a back room playing Ave Maria on the piano while window washers cleaned the multicolored panes. Center Hotels Arnarhvoll: If you’re looking to stay at a hotel in Reykjavik, you should check out Center Hotels Arnarhvoll. I stayed here and loved the cozy rooms with gorgeous views of Harpa and the water. I recommend starting the day with their complete breakfast while sitting on the deck, watching the boats sail by. The location is walking distance from food, shops, drinks, and famous sites. 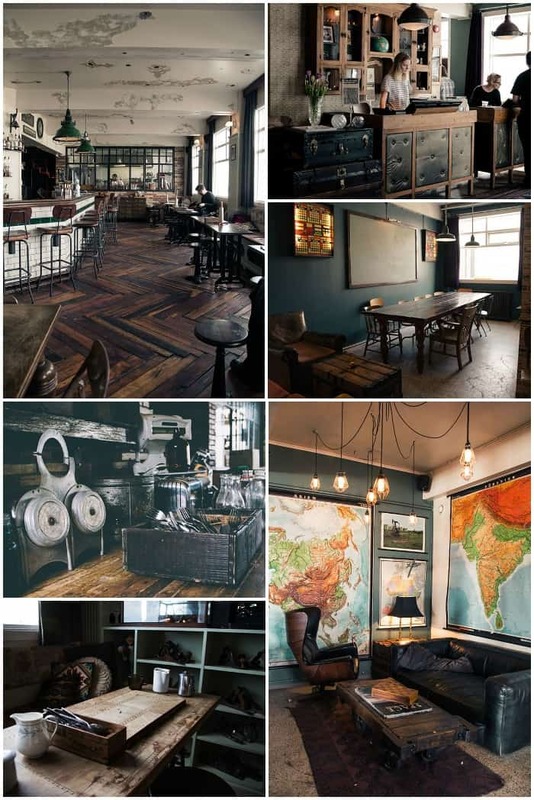 Kex Hostel: Kex Hostel hostel is a must-see even if you are not staying there. I’ve stayed in hostels before, but never one as beautifully designed as this. It was once an old biscuit factory (kex means biscuit in Icelandic) believe it or not. Grab a coffee and sit in the cafe while you plan out your itinerary for the day. Hverfisgata 12: I had the best pizza of my life in the small yellow house located at Hverfisgata 12. This pizza place has no name, but don’t worry, you can’t miss it. The same creative minds behind Kex Hostel created this restaurant, and their taste for design came right along with them. Stop by for lunch and enjoy a pizza with smoked cream cheese, baked rutabagas, rucola and sweet and sour DILL oil. MAR: There are several options for dinner spots in Reykjavik. 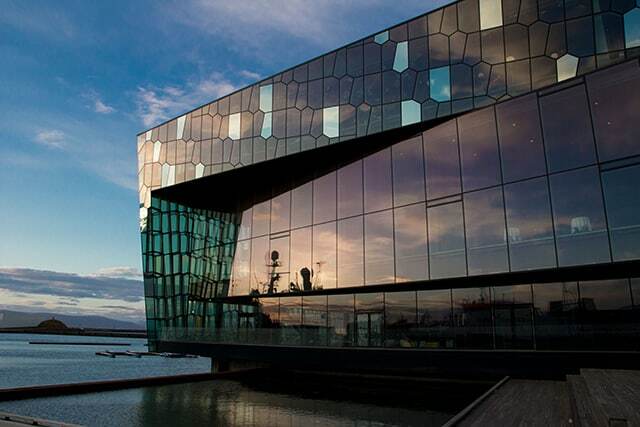 If you want to stay near the water after a trip to Harpa, enjoy a lamb dinner and chocolate lava cake dessert at MAR. I fell in love with their wine, I mean their DIY wine wall. DILL: Before you head to Iceland you should try to make a reservation for dinner at Reykjavik’s New Nordic restaurant, DILL. 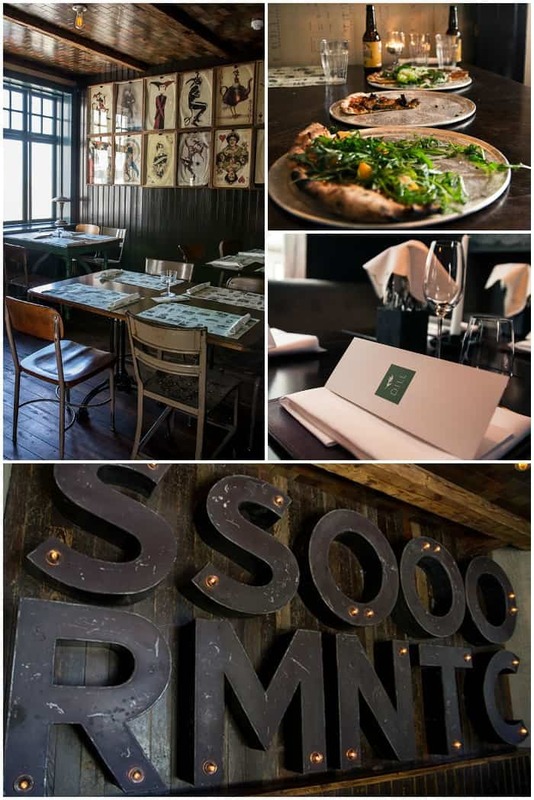 I didn’t get a chance to eat there, but I did get to see the inside and met with one of the owners (who also helped create Kex Hostel and Hverfisgata 12). I will most certainly plan ahead before my next trip back. Mokka-Kaffi: If you’re shopping in downtown Reykjavik, treat yourself to a waffle at Mokka-Kaffi. I was told that I’d find it because there would be a group of old Icelandic men sitting in front. It seems they have planted themselves here daily for years. I so badly wanted to eavesdrop. Baejarins Beztu Pylsur: The best hot dog in the world is at Baejarins Beztu Pylsur. They are lamb dogs topped with ketchup, mustard, remoulade, fried and raw onion deliciousness. There is usually a line during the day. Reykjavik Trading Co. I’m partial to Reykjavik Trading Co. because they welcomed me right into their home, and helped me navigate around the entire country. Anthony Bacigalupo, Ýr Káradóttir, and Lísa Kjartansdóttir are the brains behind Reykjavik Trading Co.. Their high-quality, handmade goods include these stunning cloche lamps, Icelandic wool laptop/iPad sleeves, wood serving boards, hand-stamped leather luggage tags, and leather and wood coasters engraved with old Iceland knitting patterns. 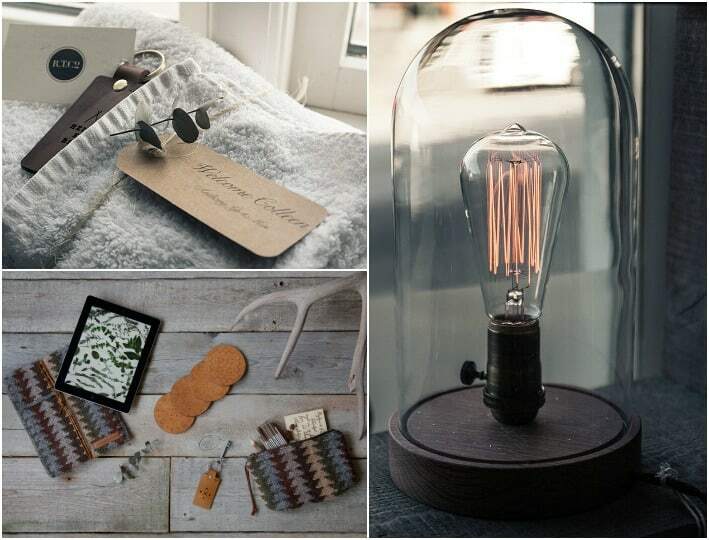 You can contact them directly to order, or stop into Aurum in downtown Reykjavik to see the items for yourself. Geysir: I wasn’t having much luck finding gifts for my family, but then I went into Geysir. I’m kind of obsessed with this store and wish they had it in the states. They have the warmest Icelandic wool socks in beautiful colors, and leather bags you will find yourself drooling over. I may or may not have walked out with a handful of gifts from there. (Bottom left photo credit: Anthony Bacigalupo). After my stop in Reykjavik I picked up my Hertz rental car and headed out on the journey. My first stop in the West of Iceland was Budir in the Snaefellsnes Peninsula. 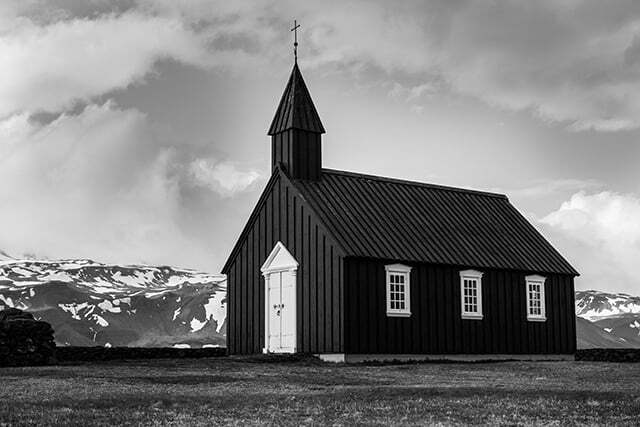 The Black Church: The Black Church in Budir is breathtaking and there is a little cemetery that sits alongside it. You can follow a path from the church to the ocean. I spent a good hour just sitting on the lava rocks watching the waves crash below. 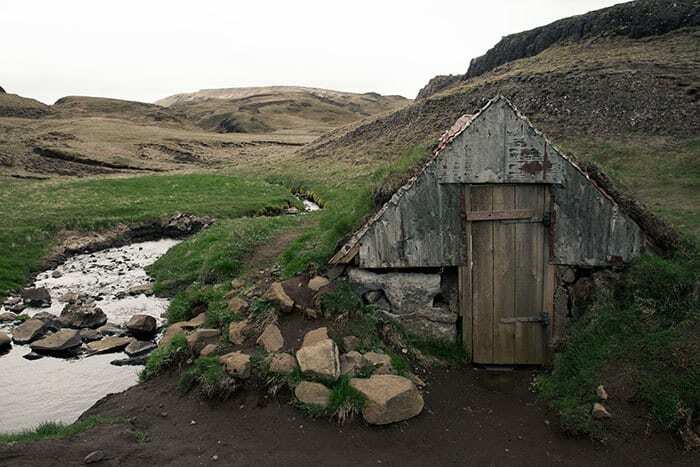 Arnarstapi and Hellnar: Next, head to the little fishing village called Arnarstapi. 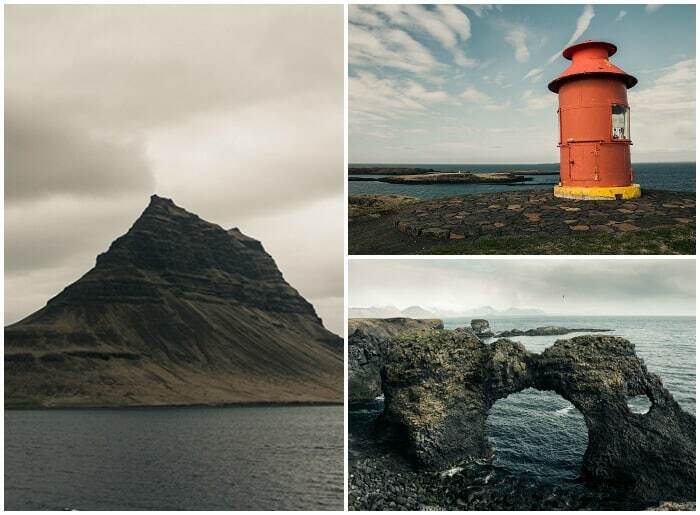 Drive to the back of the small town to see the incredible sea stack rocks called Gatklettur. There is a path that you can take from here to another old fishing village called Hellnar. Djúpalónssandur and Dritvík: One of my favorite spots on the trip was this black pebble beach. The trail down to the beach weaves you through giant rock formations. It feels very otherwordly. Once you see the ocean you’ll also notice that the beach is covered in bright orange pieces of a rusted shipwreck from the early 20th century. Walk around and spend some time taking it all in. Kirkjufell Mountain: Keep your eye out for Kirkjufell Mountain when you’re driving along. It comes up quick so you might miss it, I almost did. This uniquely shaped mountain is the most photographed mountain in Iceland. Try to photograph it when the sun is out so you can get a reflection of it in the water. 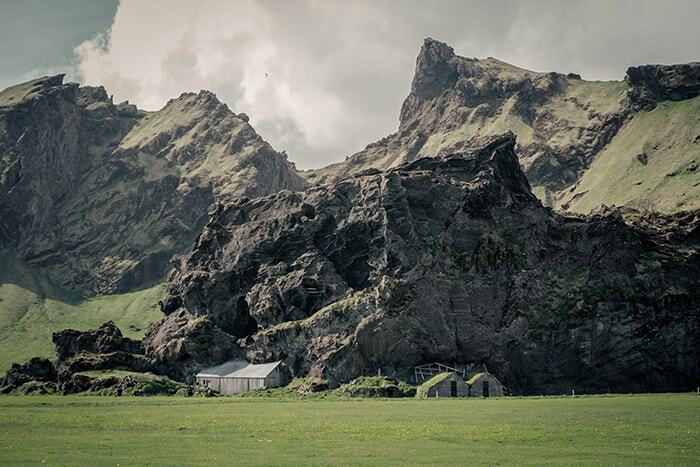 Stykkishólmur: If you’ve seen The Secret Life of Walter Mitty, you might recognize this little town. This is a great place to stop and get a bite to eat. Walk up to the lighthouse at sunrise to get a stunning view of the West Fjords. Hotel Budir: Before you make a big trek around the country, you can rest up at Hotel Budir. This hotel sits right alongside The Black Church and is incredibly peaceful. Hotel Egilsen: This charming hotel was recommended to me by West Iceland. You might also recognize Hotel Egilsen from The Secret Life of Walter Mitty. It looks like a little red school house and is just as cozy and inviting on the inside. You can see a photo of it on my Instagram. The Restaurant at Hotel Budir: Top off your night of relaxation with a complete three course meal. I had a lobster soup, lamb dinner, and Icelandic skyr dessert with wine. It was all heavenly. Fjöruhúsið Café: When you are visiting Hellnar, stop into the Fjöruhúsið Café that sits right along the water. Warm up with a cup of coffee and a hot bowl of homemade fish soup. Narfeyrarstofa: Before you head to bed in Stykkishólmur, enjoy a delicious dinner at Narfeyrarstofa. This restaurant uses local ingredients, including their amazing mussels. They also serve whale and whale beer here! This restaurant is located right behind the hotel. While in the North of Iceland I traveled through the Akureyri and Myvatn areas. I got some great tips for things to see from Visit North Iceland. Get ready for a landscape unlike any other. Goðafoss and Dettifoss: These are two incredibly powerful waterfalls. Goðafoss (waterfall of the gods) is on your way from Akureyri to Myvatn. You can see a photo of it in the titled image at the beginning of the post. Unfortunately, snow kept me from seeing Dettifoss, but I guess I can say I technically have seen it when I saw the movie Prometheus. Hverir: See that bright orange Mars looking place in the photo below? These are geothermal mud pools that are bubbling and steaming all around you. On your way to this geothermal hotspot you will see a beautiful blue hot spring that is much too hot to jump in, but a lot of fun to photograph. Continue up the road and you’ll find the Víti Crater. Krafla Volcano: This highly active volcano might be calm now, but from the mid 70s to the mid 80s it was awake and active. In fact, it has erupted a total of twenty-nine times. Check it out now while it’s still here. Myvatn Lake: Take a walk along the beautiful Myvatn Lake. There are many accommodations that sit right on the waterfront. Myvatn Nature Baths: End the day at the Myvatn Nature Baths. This was my first experience in an Icelandic hot spring, and it was amazing. It even started snowing a bit while I was there. 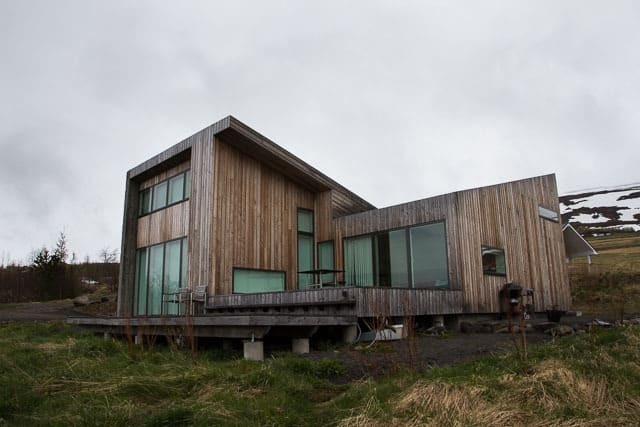 Akureyri Home: While in Akureyri I stayed at this amazing Airbnb home. Not only is the design incredible, but the view of Akureyri on the other side of the water is stunning at night. Hotel Reynihlid: Right across from Myvatn Lake is Hotel Reynihlid. Visit North Iceland recommended this hotel to me. This location was perfect because it was within a short drive to several of the popular Myvatn sites. If you want to stay close you can take a short walk to the lake. Vogafjos Guesthouse: Have a totally unique experience at Vogafjos Guesthouse and eat breakfast with cows. Don’t worry, they are in the room next door, but you can definitely head over to see and milk them after. Hamborgarafabrikkan: While you’re in Akureyri, feast at the Hamborgarafabrikkan (Hamburger Factory). Make sure to try their special skyr cheesecake. Bláa Kannan Cafe: Satisfy your sweet tooth at Bláa Kanna Cafe (aka the ‘Blue Teapot’) in the heart of Akureyri. You can’t miss the cobalt blue and bright red building on the main drag through the city. Akureyri Backpackers: When things are closing up in the town, you can count on Akureyri Backpackers for a delicious meal and a drink. The staff and guests were all very friendly and helpful. Egilsstaðir: When you’re driving from the North to the East, stop for a rest in Egilsstaðir. There are restaurants where you can grab a bite to eat and a lovely lake to soak your feet in. 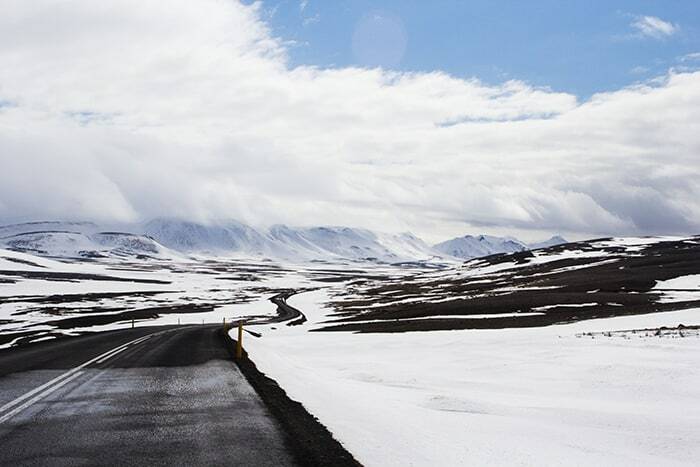 You can drive from here, around the fjords, for a more scenic drive to Jökulsárlón. 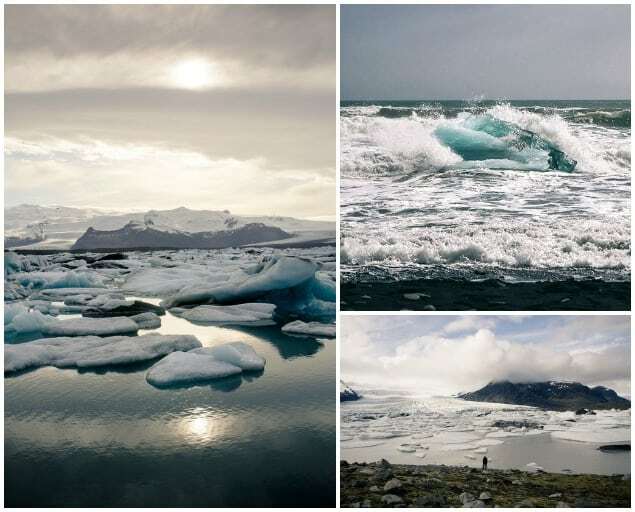 Jökulsárlón: One of the most magical places on the route is the Jökulsárlón glacier lagoon. Wake up early to go on a boat ride through the glaciers. On the other side of the bridge is a black sand beach where pieces of glaciers wash up onto shore. It’s pretty unreal. Fjallsárlón: I was told by Tiny Iceland to check out this mini glacier lagoon. I’m so glad I did. Hardly anybody was around when I went there. 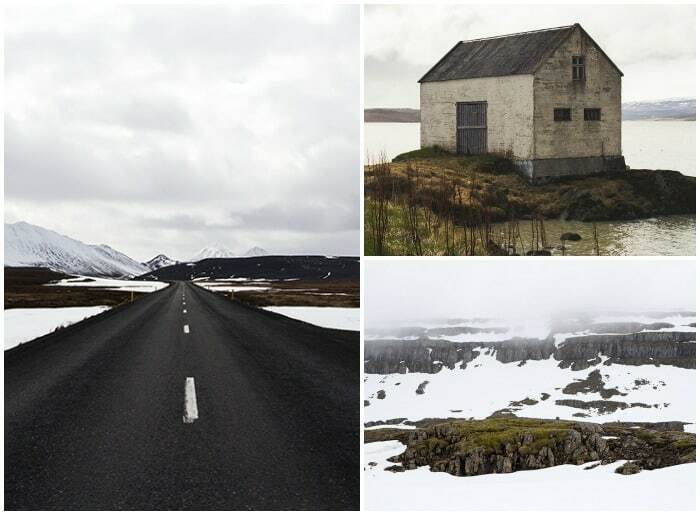 It’s a little bit of a ways south from Jökulsárlón and pretty easy to spot once you head down the road. Hali Country Hotel: I’m so glad I stayed at the Hali Country Hotel while I was on the East, because it was so close to the glacier lagoons. I loved that I was able to drive back easily to see them at sunset. 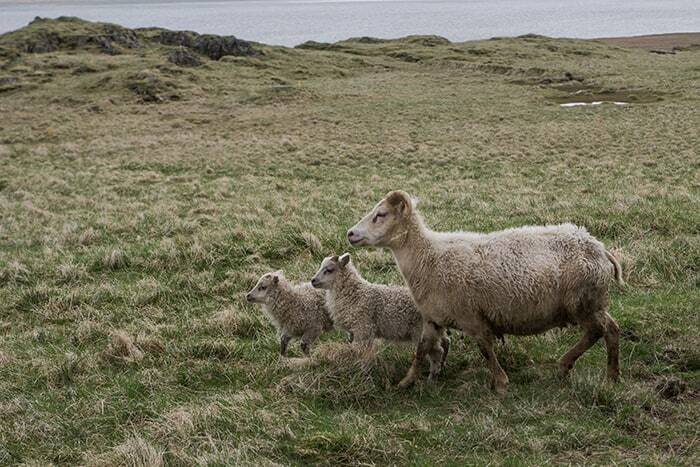 The rooms are spacious and you can’t beat waking up to these cute sheep out your window. Humarhöfnin: On your way East, stop in Hofn to check out the amazing lobster at Humarhöfnin. Hofn is known for their lobster, and this restaurant is said to be the best in the area. Hali Country Hotel Restaurant: You can’t miss the Hali Country Hotel Restaurant because it looks like a gigantic bookcase. Their hearty selection of food is just what you need after a day of exploring glaciers. This is where you can also check into your room and get help setting up tours in the area. 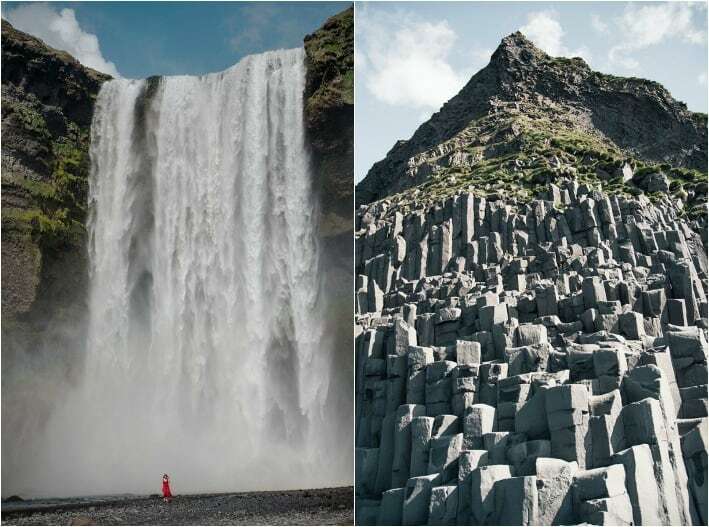 Skaftafell National Park: If seeing the glacier lagoons wasn’t cool enough, check out the Svartifoss Waterfall (Black waterfall) that is surrounded by basalt lava columns. You can drive up the hill and take a small hike, but if you’re feeling adventurous you should definitely try to hike the whole way. It’s not bad, I promise. Kirkjubæjarklaustur: Drive to the town of Kirkjubæjarklaustur. 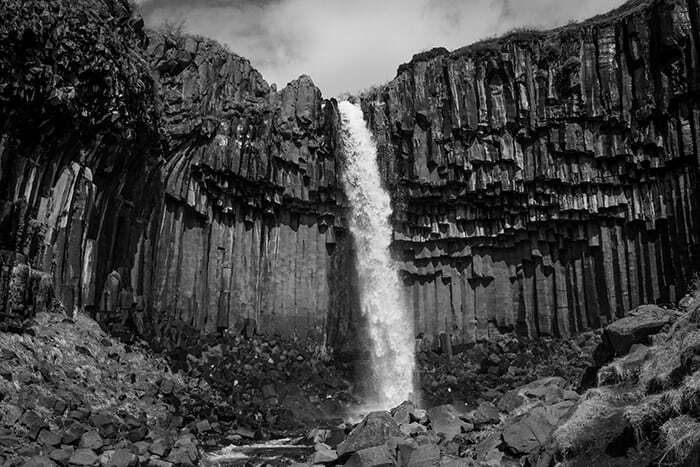 Here you can find a basalt column formation called, Kirkjugólfið. I stopped here to grab some skyr and granola to eat for breakfast too. Systravatn and Systrafoss: While you’re in, Kirkjubæjarklaustur, drive to Systrafoss (the sister waterfalls). There you will see a trail that will lead you up the side of a mountain. Follow the path to the top and you will see Systravatn (sister lakes) and a gorgeous meadow. The view is totally worth the hike. Lava Fields Covered: When you’re driving along the Route 1 you’ll start to see lava fields covered in moss. I have been told the summer is a great time to see them because they are bright green. Vík: Check out the quaint town of Vík. This is a lovely town to stay for a night, or just to grab a bite to eat. 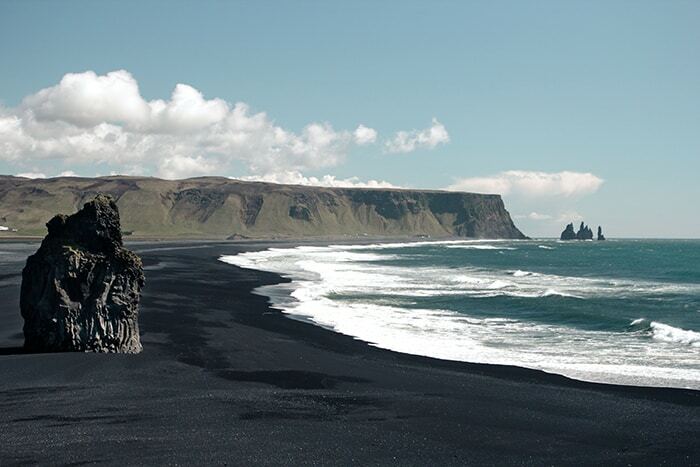 While you’re in Vík you can see and explore Dýrhólaey Cliffs, the black sand beaches, and Reynisdrangar. Keep your eye out for puffins! 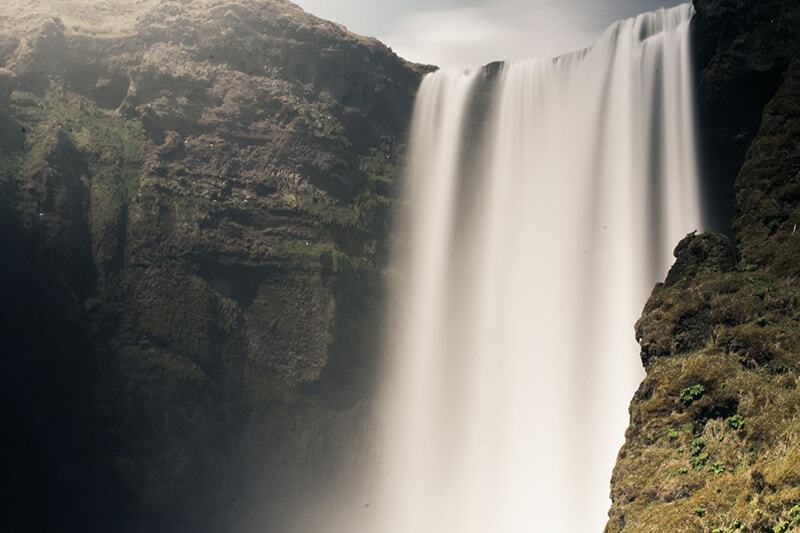 Skógafoss and Seljalandsfoss Waterfalls: See if you can spot gold at the bottom of the Skógafoss waterfall. Legend has it that there is viking gold hidden below. Afterwards, head to Seljalandsfoss Waterfall for a chance to walk behind a real waterfall. 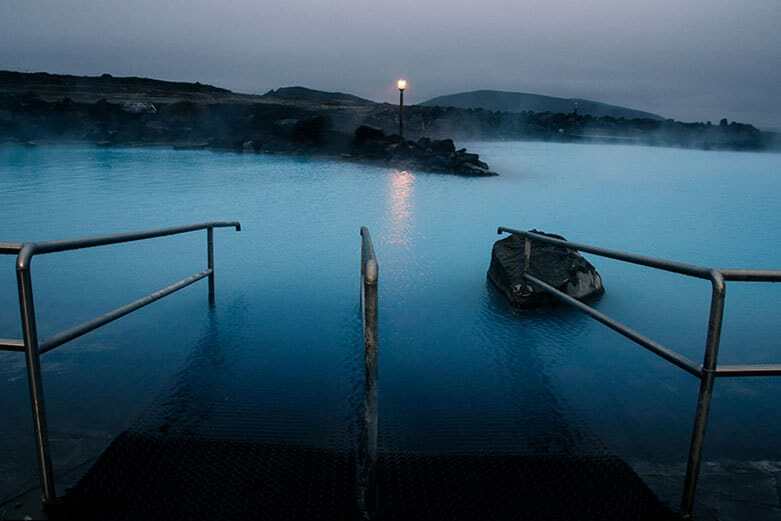 Hot Springs: Seljavallalaug is one of the first places that made me want to visit Iceland. It’s a hidden hot spring and the oldest pool in Iceland. Finding it is the tricky part, but once you do, you can hop right in. If you want a bit more luxury, check out Laugarvatn Fontana. This hot spring opens up to a lake you can jump into as well. Hrunalaug is another hidden hot spring that I visited in the morning. It has two pools you can soak in and a triangle roof ‘locker room’ you can change in. I should probably mention, it’s clothing optional. 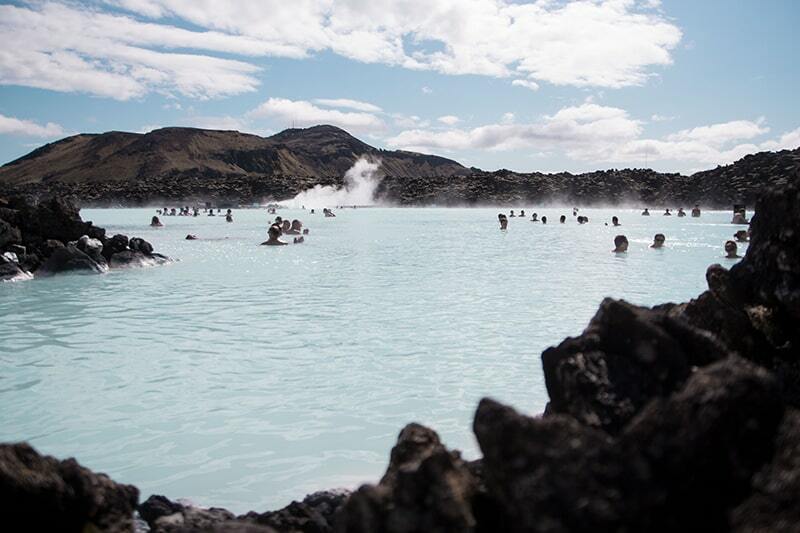 Blue Lagoon: Before or after your flight, take a dip in the Blue Lagoon. I recommend the lava rock scrub too, it made my face feel incredibly soft. The Blue Lagoon is only about fifteen minutes away from the airport. You’ll sleep like a baby on the flight home. 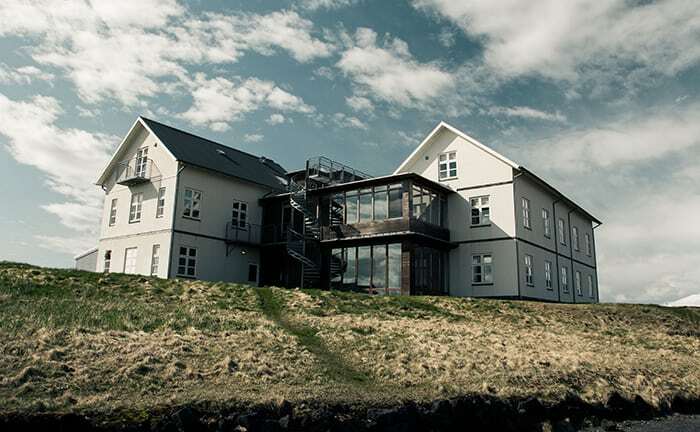 Icelandair Hotel Vík: The new Icelandair Hotel Vík is the perfect spot to get some shuteye. It’s spacious, quiet, and has a make-your-own-waffle station out for breakfast. You can walk from the hotel straight to the black sand beaches. Icelandair Hotel Fludir: Right near Hrunalaug hot spring is the the Icelandair Hotel Fludir. It’s also a short drive from Laugarvatn Fontana. There is also a hot spring on site. Yes, please. 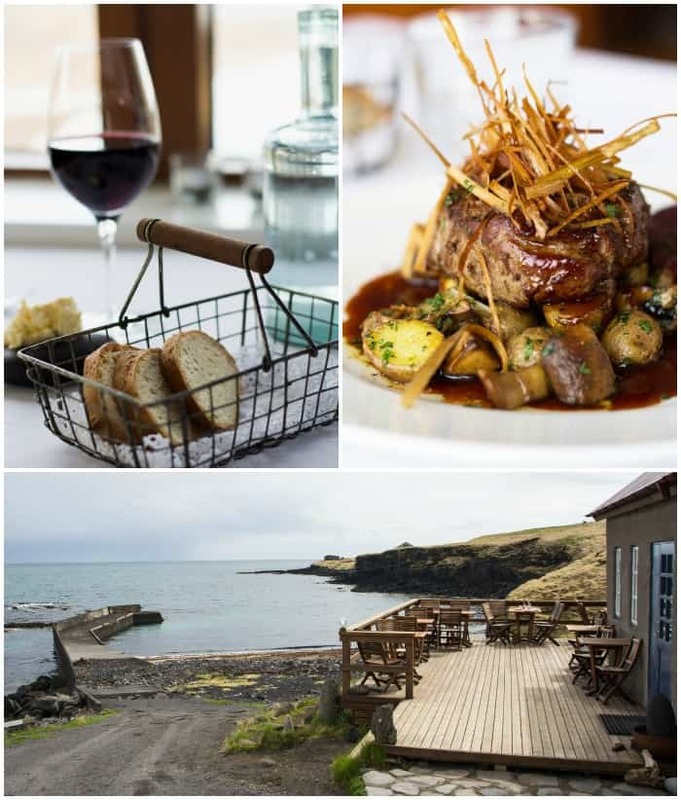 Strondin Bistro and Bar: This restaurant is located in Vík and is right near the water and walking distance from the hotel. They have an incredible Icelandic stew, and if you’re feeling adventurous you can try Iceland’s famous rotten shark here too. Colleen, your photography is stunning. What camera did you use? Your photography took my breath away. Did you book your travel yourself or with a company ? 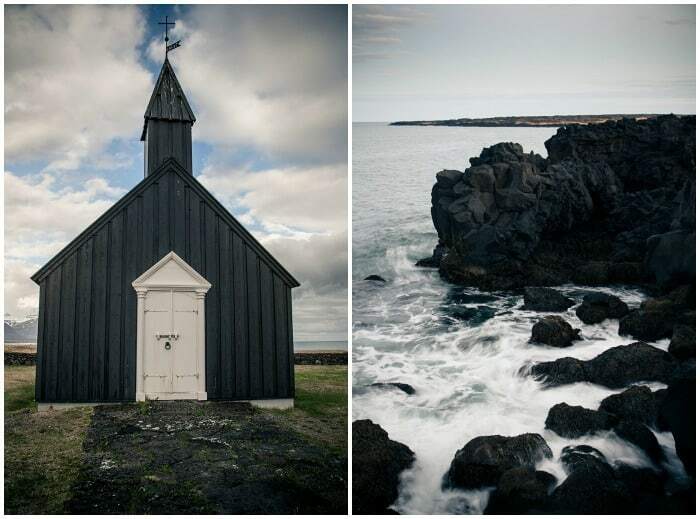 Heading to Iceland in less than 2 months and this itinerary is so helpful! So great that you were able to go around the island! Stumbled on this post via Pinteret and am so glad I did! I have always had a strange longing to visit Iceland and this post has defintely sealed the deal! Will use this when planning my trip. Thanks so much! You should definitely go. It’s a magical country. Thank you so much for this exhaustive list! I’m heading to Iceland next week and I’m excited about all of the restaurant recommendations. We are honeymooning in Iceland for 10 days in September! DId I read correctly you did this route in 10 days? Did that feel like enough time? We will be in a campervan so have a lot of flexibility in the itinerary. Honeymoon?! How exciting! Yes, I felt like 10 days was enough. There was quite a bit of driving involved on some days, but it was totally worth it. Have a blast! Of January for only 5 days. Any top recommendations ? Also, do you book all lodging sites before hand or as you went ? Gina, I am going this January for 5 days, any advice on what to do and where to stay? I’m going to go there next may, just wondering if I’ll need to hire a 4×4 or not, what kind of car did you have? I’m taking a look at a nice looking dacia duster at http://www.gocarrental.is, might as well save me some money and get a 2wd. I drove the Skoda Octavia. It was perfect for getting around on the Ring Road, but if you want to go on any of the F-roads I recommend going with the 4×4. Thanks, I’ll note that down. Hi Colleen .. thanks for your lovely post. 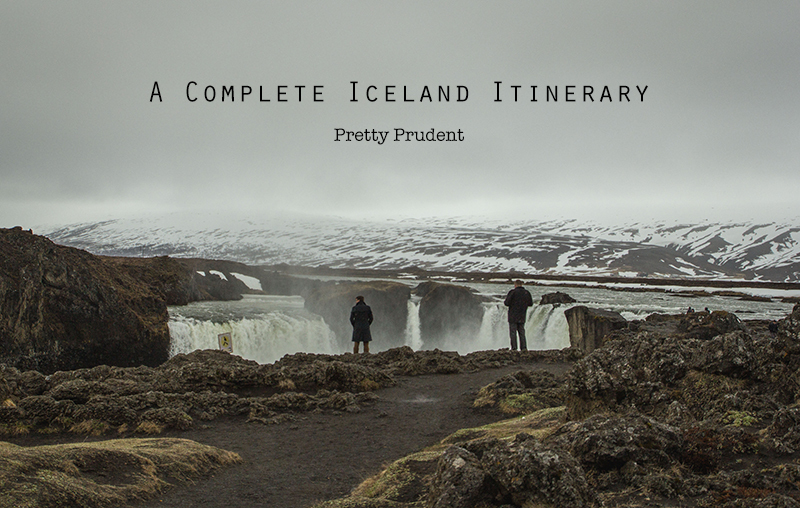 I am going to do my first trip to Iceland – also solo – in a couple of weeks. I only have time to drive the South Coast but I’m pretty excited and was interested to see that you’d done it alone too. Colleen! Your guide has been so so helpful. We’re headed there in June and I’m plotting attractions on my map based on your list. Thanks a ton! Hey! Random but relevant question—what shoes did you bring for this trip? How did you like them? Looks like you did a lot of the things I have planned for September. Hope to hear from you! Some shots are just stunning, Colleen! 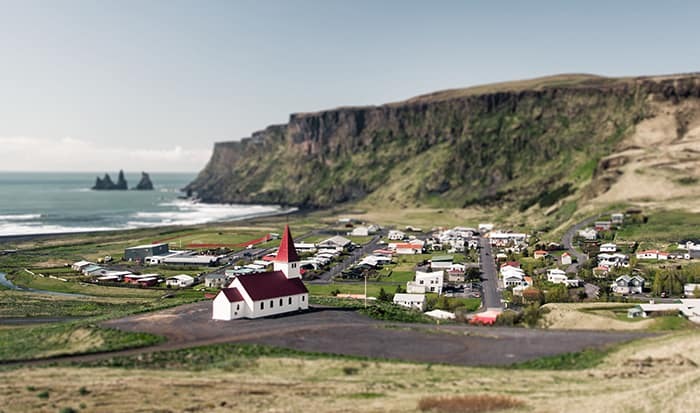 The one in Vík with the tilt shift effect is wonderful. 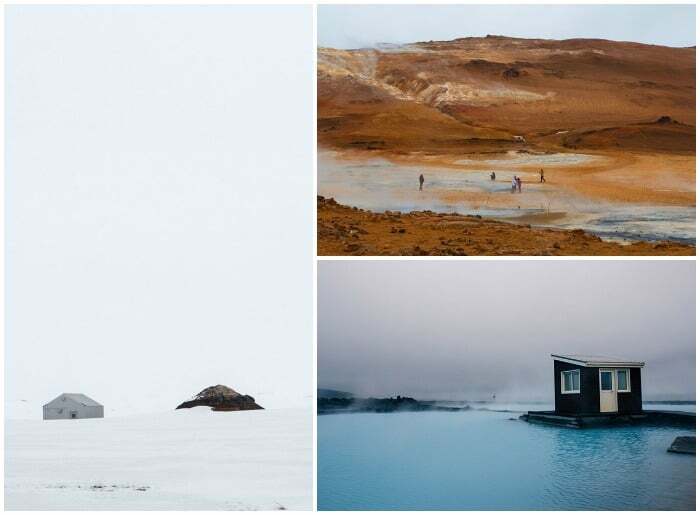 While traveling around to these places, its good to know if you are close to any of the hot springs we have here in Iceland. Here is a list of a few of them, most easy to access. Excellent, practical review. I only wish your first-rate photos were captioned! The photography is tough, lots of very light and very dark areas causing exposure problems, and you did great with them. (I’m a pro shooter, so I really do appreciate the good work). This piece will be really helpful in planning our trip to Iceland either next spring or in 2018. Kleifarvatn, a lake just outside Reykjavik was also used in the movie Prometheus! 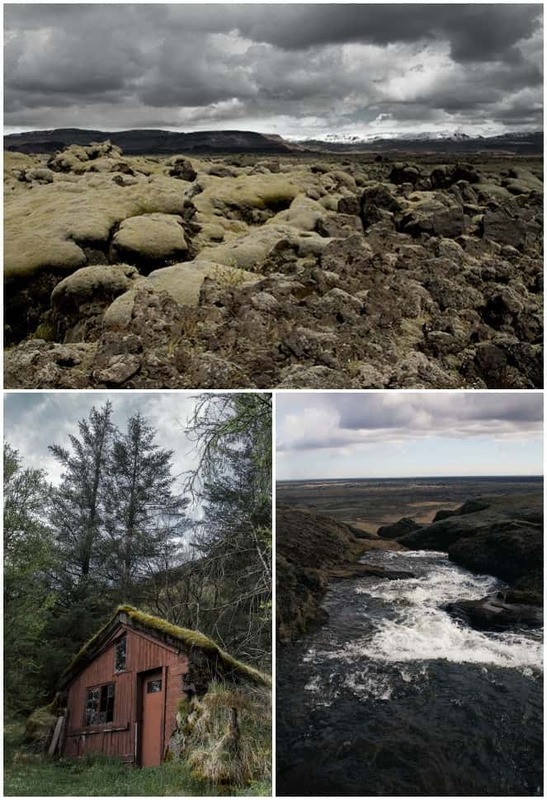 🙂 Here is more information about famous film locations in Iceland, including information about where to camp close to them!